Mould is a fact of life. In fact, right now, there are probably several hundred different types of mould spores in the air around you. That being said, if there is a significant mould infestation in your property, it can cause a whole range of health issues for the people who work in your building. 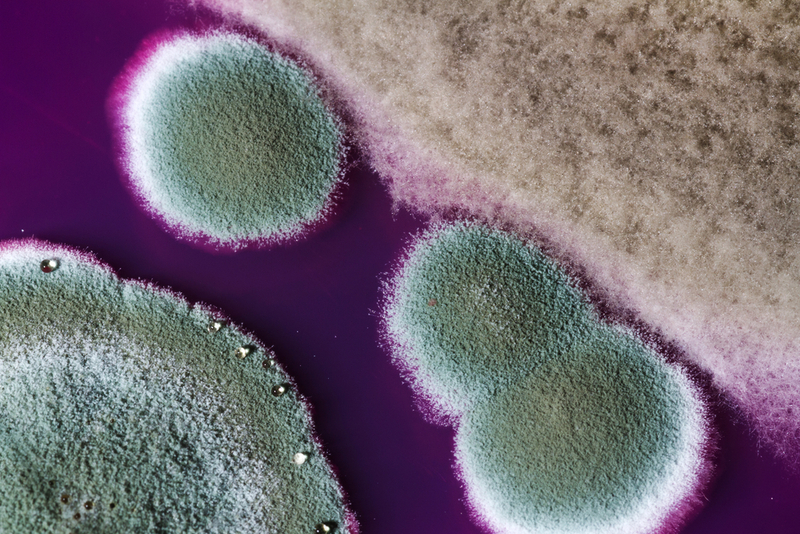 This week, we describe the different types of mould which pose a threat to human health. Commonly found in cooling systems and growing on damp wood, aspergillus typically grows in black or greyish blotches and can cause quite a strong allergic reaction. Although exposure causes only minor symptoms in healthy adults, those with a compromised immune system can develop a number of very serious health conditions including bleeding in the lungs, sepsis, and infection and destruction of the facial bones. This mould is black and pepper like and is commonly found in bathrooms, on fibreglass, and in air shafts but can also grow on fabrics and wood surfaces. Exposure to this mould produces mild allergic reactions such as watery eyes and a sore throat. This mould has a distinct slimy black appearance and a distinctive musty odour. It typically grows in places that are perpetually damp such as air conditioning ducts, spaces with a lot of condensation, and around leaking pipes. Often described as ‘toxic mould’, stachybotrus isn’t actually toxic itself but rather produces toxic compounds known as mycotoxins which can cause a whole range of health problems including allergic reactions, respiratory problems, chronic sinus infections, fatigue, asthma attacks, and even depression. A bright green mould with white edges, this variety likes to grow on wet surfaces such as carpet and wallpaper. It produces mycotoxins like stachybotrus and can cause similar health issues. A pale green or blue coloured, penicillium is the mould that grows on your citrus fruit but it also often finds a home on soft furnishings that have been damaged by water such as carpeting, insulation, wallpaper and mattresses. Exposure to penicillium can cause mild allergic reactions including chronic sinus infections and lung inflammation. A brown or white coloured mould, fusarium can grow at low temperatures and likes to grow on water damaged soft furnishings. Fusarium can trigger asthma and cause a number of different allergic reactions in healthy adults and those with a compromised immune system are at risk of developing infections as a result of exposure. Alpha Environmental offer an environmental consultant service in Melbourne which is capable of identifying and managing mould infestation in commercial properties. To learn more about our capabilities, please don’t hesitate to get in touch with us by calling 9414 8002.